Sometimes these thoughts are as mundane as, “Look, they rearranged our office layout AND moved the vending machine to the second floor!” A double whammy! Having worked in the merger and acquisitions world for much of my corporate career, I know she is not alone in that sentiment. When we would go into another company, either to create a joint venture, or do an acquisition or divestiture, emotions ran high and sometimes the lines were drawn for battle. “Change OUR culture?” both sides would say. NO WAY! How about changing YOURS? I hope it’s gorgeous for you at the end, whether the change is a new boss, new policy, new location or new job altogether. In the meantime, here are some important ways to help out with the “messy in the middle” part that will guide you to a successful end. Consider this: People maybe don’t mind change as much as they mind being changed. Makes sense, doesn’t it? Would you like being told you your Department (A) is merging with Department (B), starting immediately, and you have absolutely no forewarning, much less any chance for input on the change? When this kind of “forced upon me” change happens, management can expect pushback and downtime as employees canoodle on the unfairness of the change. John Kotter, in his book “Leading Change,” suggests that 75 percent of an organization’s leadership must buy into the change for it to be successful. So, if you are managing a team, you will need to make a convincing and pressing case for what the change is and why it is imperative that it happens now. Also Read: Benefits of Business Mentoring. What’s in it for YOU? These are the individuals that believe in the change and will spread good will and good news amongst the team about the forthcoming change. They are your ambassadors, first adopters, and front line of the change. Handpick them because you know you can trust them to do right for the good of the organization. I led one acquisition while in the corporate world, and it involved asking employees to move to another location (cross country) in order to stay with the company. However, news was not coming down very quickly from “on high” as to when the move would happen and what their roles would be in the new organization. I would do my best to convey how we, the acquiring company, valued them and that the details of the benefits package changes, for example, were being worked. Moreover, I let them know that, if it worked for them and their family, we hoped they would consider moving to the new location. I learned an important lesson in that transaction. In the absence of communication about a large-scale change, people will expeditiously look for safe harbor and perhaps leave the company because of too much uncertainty about their future. Communicate as much as you can. It’s important to move quickly to remove obstacles to the change. It could be a system roadblock, a leader overly resistant to the change, or even amending employees’ compensation to move the change forward. Whatever the obstacle, the leadership and early adopters need to proactively address and tackle the obstacles. These steps will help you do it! ← Benefits of Business Mentoring. What’s in it for YOU? 1. They must change those policies, rules and perfromance indicators that cause their employees to do things that damage the company as a whole. They should start by changing policies, rules and performance indicators to ones that cause globaloptimisation. 2. 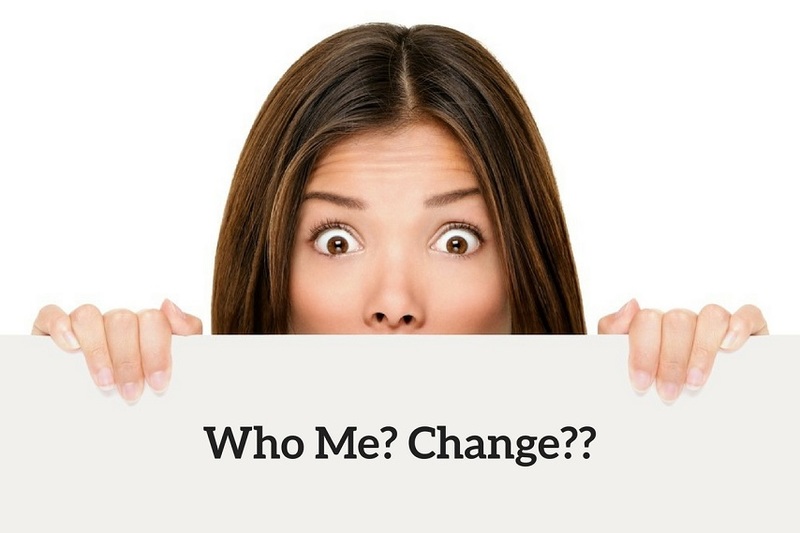 People are not afraid of change – they get married, they commit to big financial commitments (car, house, credit card …), they divorce … What people don’t like is change that damages them. What looks like resistance is people checking whether the change makes sense for them. If it doesn’t, they will resist. If they cannot find out what the consequences of a change are – they will resist. 3. Every change has 4 aspects for the individual and the organisation – the promised pot of gold (that whoever wants to make the change is in love with; the crutches that symbolise what damage can happen as a consequence of the change; the lovely mermaid which represents the things we like about the current situation and lastly the crocodile that might bit you in the a__ if you do not make the change. The originator of a change usually sees only or focuses only on the pot of gold.